Mass text messaging services are changing the way our educators communicate with students and parents and can even save lives. “The best way to respond [to an emergency] is to have the most instantaneous message delivery on a college campus, and that by far is text messaging,” said Michael Hanley, an associate professor and the director of Ball State University’s Institute for Mobile Media Research. While politicians continue to debate the best ways to keep our children safe at school, you can join the ranks with school organizations across the nation using mass text messaging to notify students and parents of all threats and increase engagement in the classroom. Don’t know where to get started? We’ve got you covered. We’ve compiled the ultimate guide on how to use a mass text messaging services in schools. Text messaging is the most widely used smartphone feature. Students and parents alike receive tremendous value from mass text messaging services. Mass text messaging gives educators new ways to engage with students, parents, and internal staff members. Instead of sending emails and leaving voicemails that never get returned, get in front of your students and parents in a way that yields a response. Why Should You Use A Mass Text Messaging Service? You are increasing your chances of having your audience actually read your information. 90 percent of text messages get read within 3 minutes of delivery. You can get in front of anyone. Text messages are available on any mobile phone. Your audience is more likely to engage with you if the experience is a positive one. Berkeley psychologists found that sending a text message makes people feel more connected and causes an upswing in mood. How Can You Use Mass Text Messaging At Your School? A mass text messaging service allows you to send messages within minutes. School closures and/or holiday information: Don’t take any chances that your students shared important information with their parents. Take the time to educate your parents. Send Parent-Teacher conference reminders: Message reminders help prevent no-shows or late minute cancellations. Assignment reminders: Improve the chances of everyone completing their assignments. Send out reminders in advance. Attendance updates: Inform parents about student absences via text notification. School events: Increase engagement by letting students and parents know about upcoming activities. Share special moments with parents: Use a text messaging service to send photos, audio, videos and more in your texts. For example, share cute videos from a recent field trip with parents. Be sure to review the Family Educational Rights and Privacy Act (FERPA), which outlines regulations concerning spam texting. FERPA limits what you can say about students and to whom. If you’re unsure about compliance with these legal limitations, consult legal counsel. Run a poll and have your students and parents vote: Find out what your students and parents think about a topic. For example, do they want a pizza party or an ice cream party when they reach their class goal for reading? 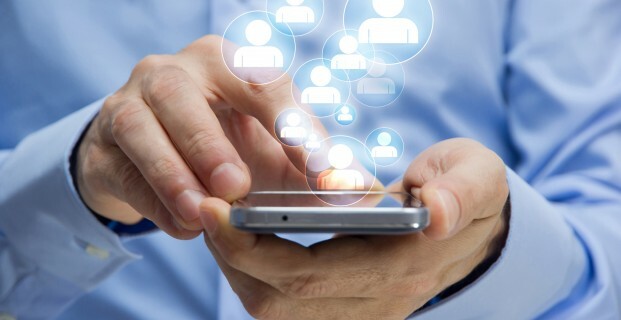 Mass texting services allow you to engage with your audience. They provide an opportunity to include them in the decision-making process. Notify all your substitute teachers within minutes of job openings. Make your staff aware of approaching internal deadlines. Share upcoming workshop dates with them and send reminders as well. Choose something that well represents your school. For example, a university with the mascot Bears could use BEARS as a way to promote upcoming games, school events, and more. Have your audience respond to the opt-in request by typing in the fun keyword. For example, “Text BEARS to [number] to sign up and get access to our classroom community. Just for signing up, your student will get a free BEARS t-shirt on the first day of school.” Ensure that it is clear that users can opt-out at any time. Display your keyword throughout the school and in all communication that goes to the students and parents. This is helpful in getting more people to opt into your text message marketing campaign. Be sure to post fliers in the bathroom, on campus bulletin boards, and in all common areas. Share the information on all social media channels- Facebook, Twitter, Instagram, etc. Introduce yourself to the parent. Let them know who you are and why you are texting them. Speak in a way that feels comfortable to you. Allow your personality to show through. Write your name at the bottom of the text message. Increase engagement with parents by using an area code they are familiar seeing. The worst thing you can do is come off spammy. Use this opportunity to communicate with your parents and share valuable information. Don’t overwhelm them with too many messages. Use a calendar to plan out what messages you will send and on which days. Keep holidays and special events in mind. Be prepared to respond to parent responses swiftly and succinctly. Do You Need Help Setting Up Mass Texts? Still got questions about what to say? Click here for more strategies. Need help selecting a service provider to get you started? Click here and let us help.